Memorial Day marks the unofficial start of summer and Labor Day marks the unofficial end (despite the fact that temps here reached 100 today). 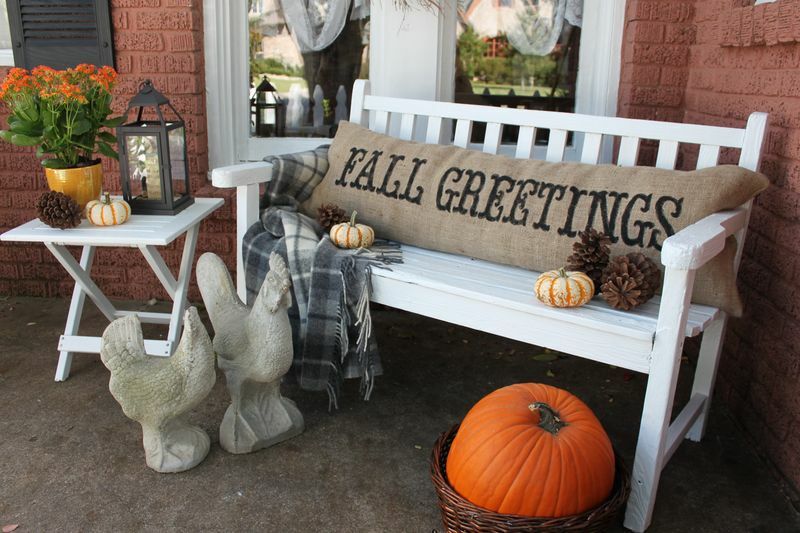 So, even though summer’s not really over yet, we are all diving head first into fall. 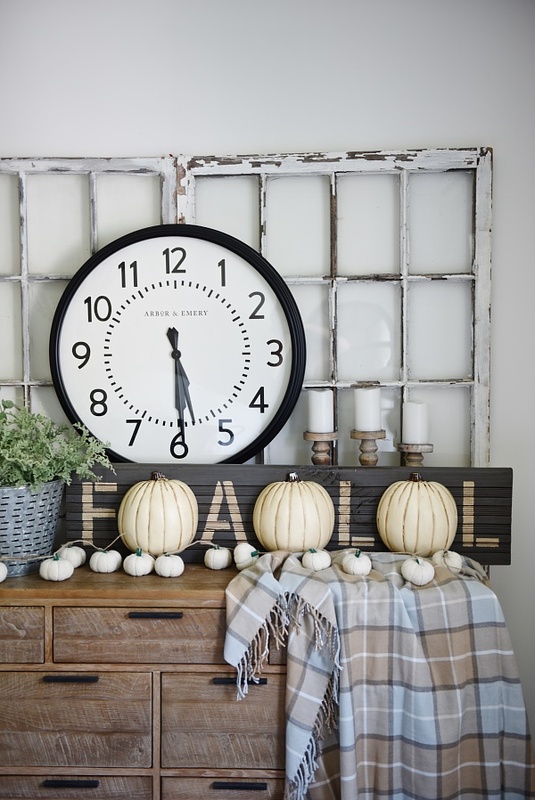 Out of the heat, into the fall layers, kids are getting back to school, and our fall projects are lining up. For me, things will start to settle down a little bit as every night and weekend won’t be jammed packed with running around (whether for me or for clients), and I should be able to get some projects done around my own house!I need to put the finishing touches on the bedroom still and then take some pictures of that space to share with you all here and I can think of about a dozen other things I’d like to do around the house as well. 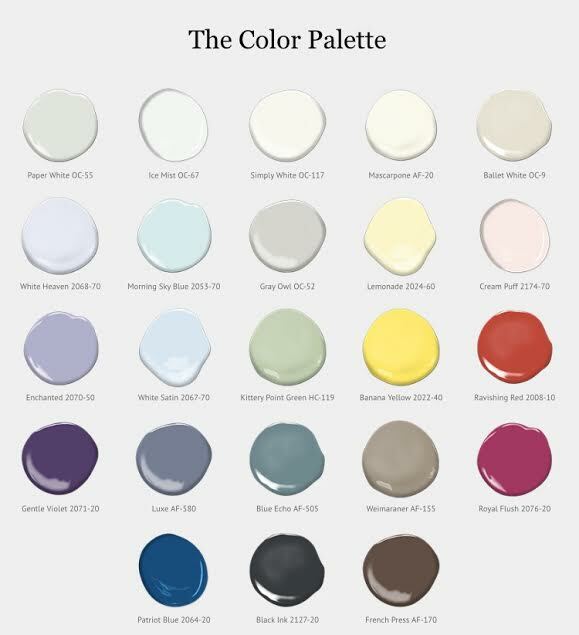 The first thing on my list, and something with probably the largest impact is to finish hanging our gallery wall. These pictures are from early Spring of this year when I had one of my friends over to take some pictures for the blog to not only map out my own gallery wall, but to document the process to share with all of you as well. About six weeks after these pictures were taken, we had a few friends over for brunch, and as I had been so busy, I hadn’t made time to get the gallery wall hung at that time. The morning before we were meeting with them, I broke out my notes from this planning session and started to try and get the gallery wall up on the wall. I was able to hang one painting before we needed to head out to meet our friends and I’m ashamed to say that that one painting is still the only one up on the wall. But then, that’s life, right?! So now I want to share with you the process of mapping out your very own gallery wall, and how I mapped out mine, and then hopefully in a week (or so…) I will be able to share more pictures of my gallery wall completed!! 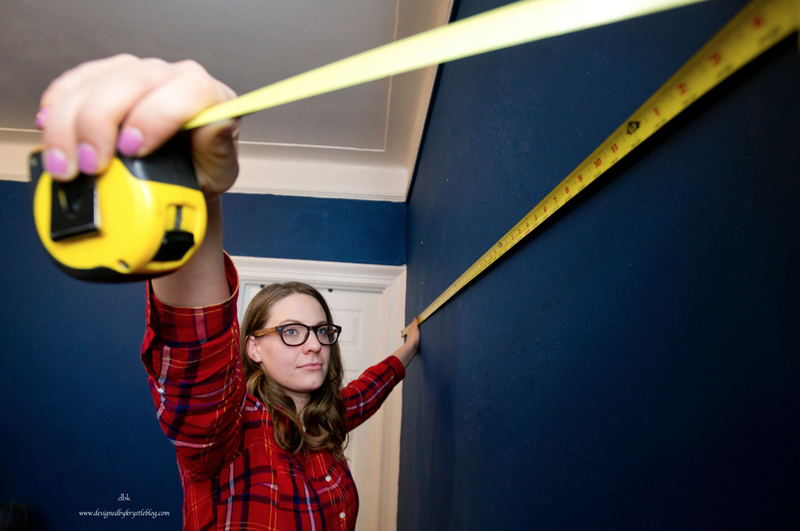 First things first, you need to know the size of the space you intend to display your art on, so break out your tape measure and get to measuring. note the width (more important for now), and we will come back to the height later. Once you know how wide your space is, use your tape measure, some blue painter’s tape and your trusty assistant to mark out the width of your gallery on the floor. Get all of your frames and pieces of art together in one place so you can see what you have to work with. Once you have a good visual, start laying the larger pieces into your mapped out space. Build out from the larger pieces with smaller pieces, keeping in mind your spacing. 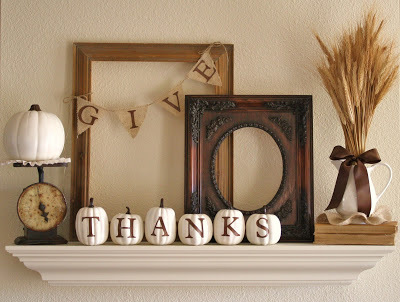 Each area should use the same spacing so that the pieces group well and look balanced even when using different sized pieces and different styled frames. Swap out pieces to find the arrangement that you like the best and then take pictures so you can remember what it looks like in case you put it off for 6 months. Measure the overall height and width of your gallery wall. The center of the overall height of the gallery should sit at 57″ from the floor, placing the gallery at a good viewing level for yourself and your guests. 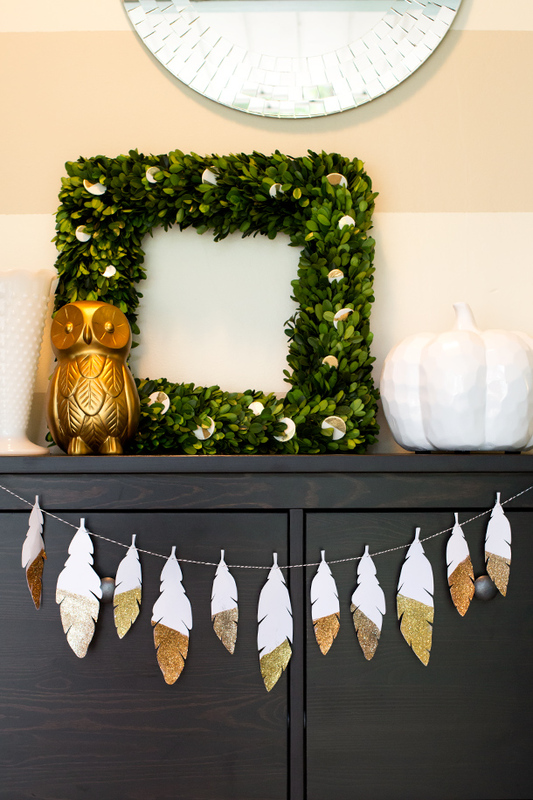 Measure the spacing between your groupings as well as the spacing from the edges of the tape (your available hanging space) to the edges of the outermost pieces. Lastly, measure from the overall top of your gallery wall to the top of your central piece or your largest pieces and the overall edge of your gallery wall to the edge of your central piece(s), as you will hang these pieces first. 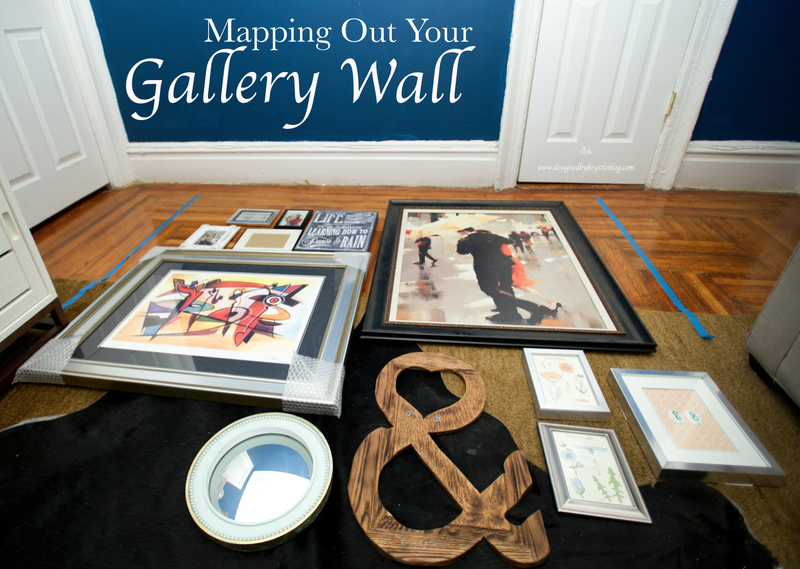 Once you have your gallery all mapped out, and your measurements determined and noted, you can clean up your mess on the floor and then start mapping out your hanging on the wall. Depending on your overall height of your gallery wall (x) and the measurement you got from the top or bottom to the center of this piece (y), you can determine where the screw will need to go. (x/2) will sit at 57″ from the ground. 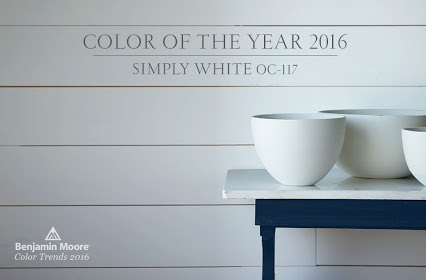 So if your gallery wall is 40″ tall, then it will span from 37″-77″ in height. Again, I like to break out my handy blue painter’s tape and mark the top and bottom of my gallery wall off so that I can use them as a reference while I’m working through hanging the pieces without having to measure it over and over again. To begin hanging, I always start with the largest piece that sits most centrally located in the wall, or in my case, I have two large pieces balanced out with several smaller pieces, so I started with the largest piece on the left. Using hanging wire to support the pictures, pull the wire on the back to where it would sit if it were hanging on the wall, and measure from the top of the frame to that point (a). Add this measurement to the measurement that you got from number 9 and jot this down. this is the distance from the top of the gallery wall space to the height you will put the screw in at. Next you need to use the overall width of your gallery wall, and the width from the edge (again, noted in 9), measure from the edge of the picture to the center (where the screw will go), add these two together and you will have the position of your first screw. It sounds like a lot of steps, but once you have your first piece hung, you will build out the wall from there. You have all of your spacing measured and noted from mapping out your gallery wall on the floor, so you can easily fill in the wall with the rest of your frames until it is complete! Is your head spinning yet?? 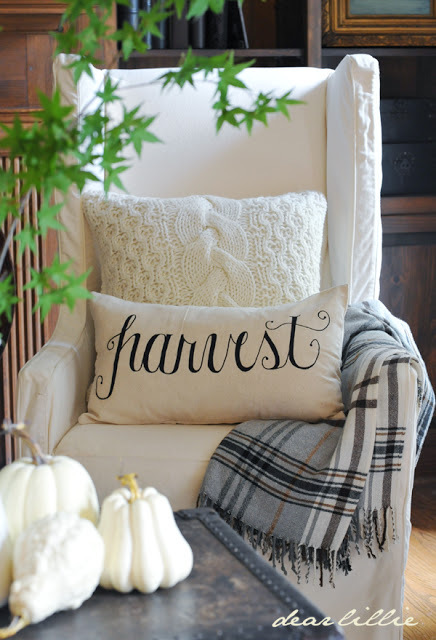 What projects do you have planned out for the fall? Hopefully I can get this project wrapped up soon, with lots of images to document the process so I can share more with you soon. Images By Lindsay Perry, click to expand.